For traffic and parking info please see the traffic page. 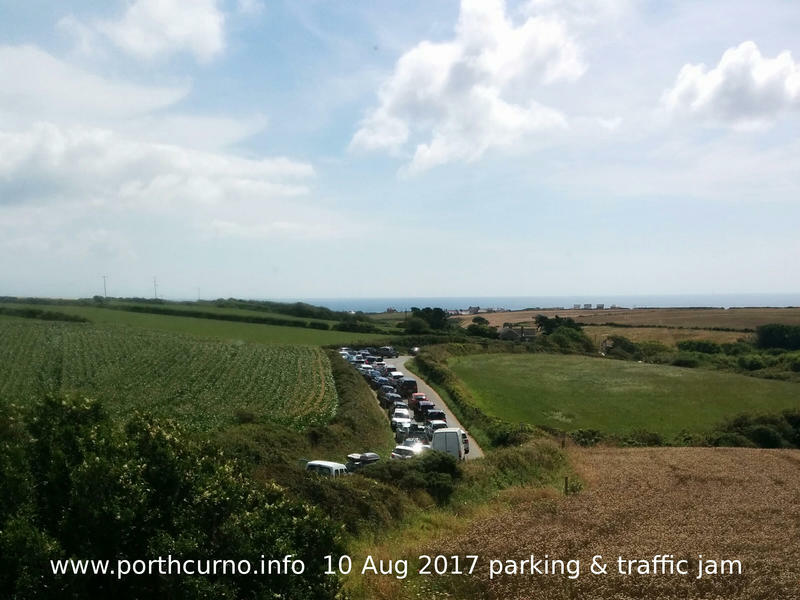 Porthcurno is a bay in Cornwall with a fabulous beach and a hi-tech history as an international telecommunications centre. 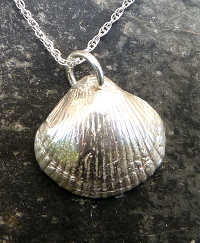 The first transatlantic telecommunications cables came ashore here in the age of copper wire, connecting up the world and building a new industry. The Cable and Wireless company created an international training school here in the previous century for their overseas telegraph operations and staff. When they closed their Cable College at Porthcurno in the 1990s, some buildings became the highly regarded Museum of Submarine Telegraphy, recently rebranded as the Telegraph Museum. 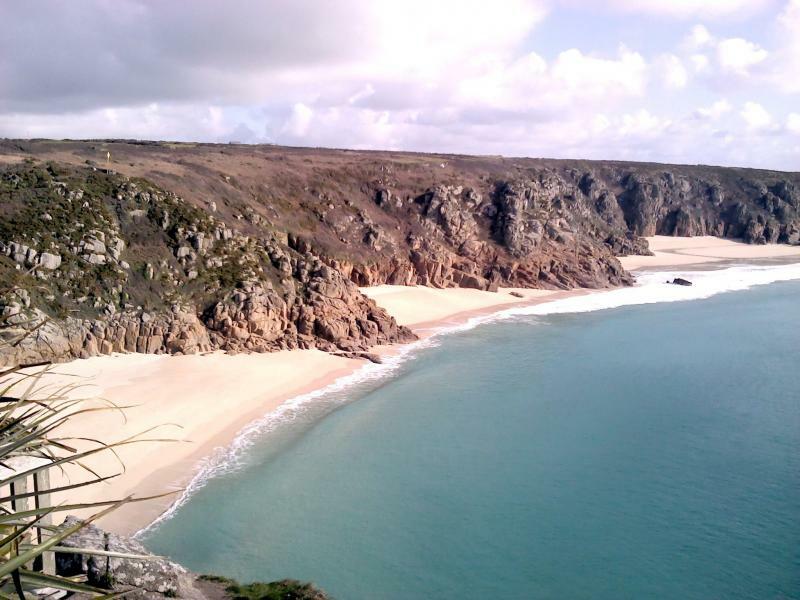 More recently many sub-sea fibre optic cables have been brought ashore at Porthcurno to connect the rest of Britain with vast volumes of data, meaning people sitting on the beach here are now literally sitting on top of the internet or surfing over it. 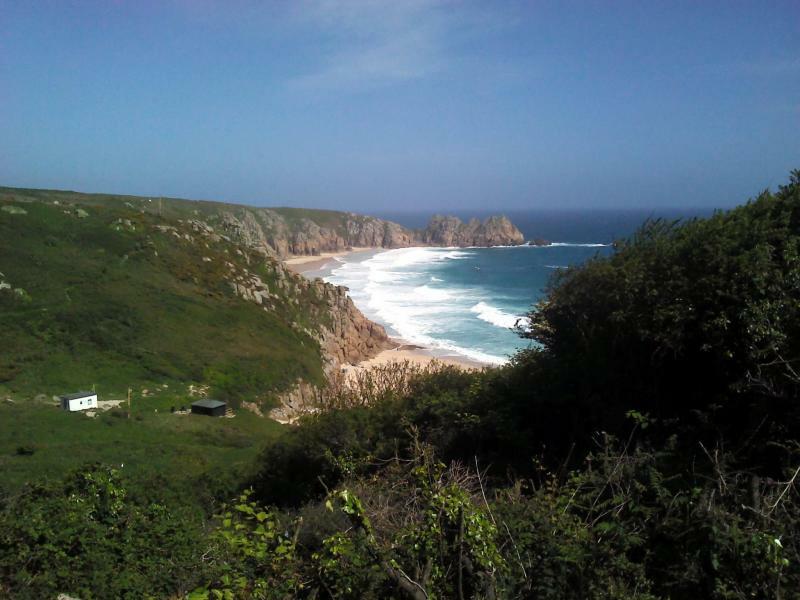 More recently Cornwall has received EU grants for a successful Superfast Broadband rollout, offering fibre optic broadband at 75Mbps+ to 95% of properties in Cornwall, and generating jobs in Cornwall's rapidly growing tech sector. 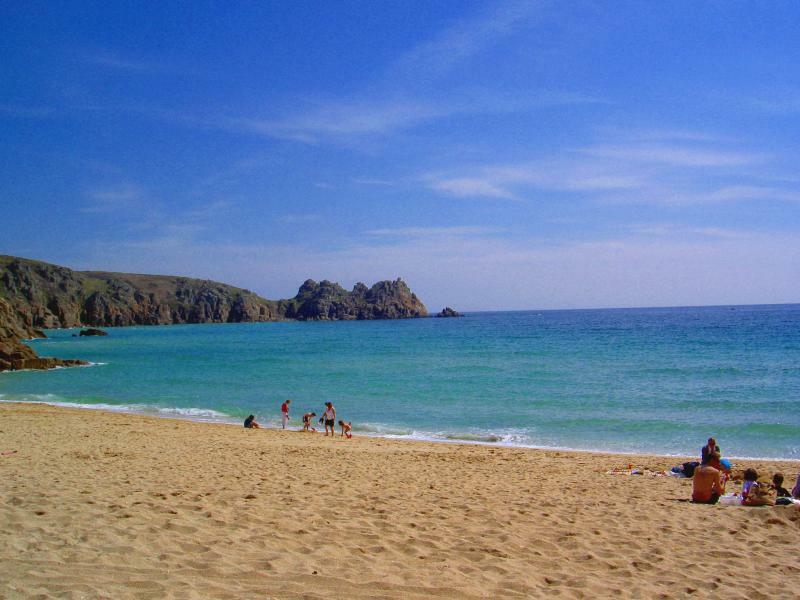 Today Porthcurno is a family holiday destination with several beaches in walking distance, and is also home to a famous open air theatre on the clifftops above the sea on the west side of the bay. 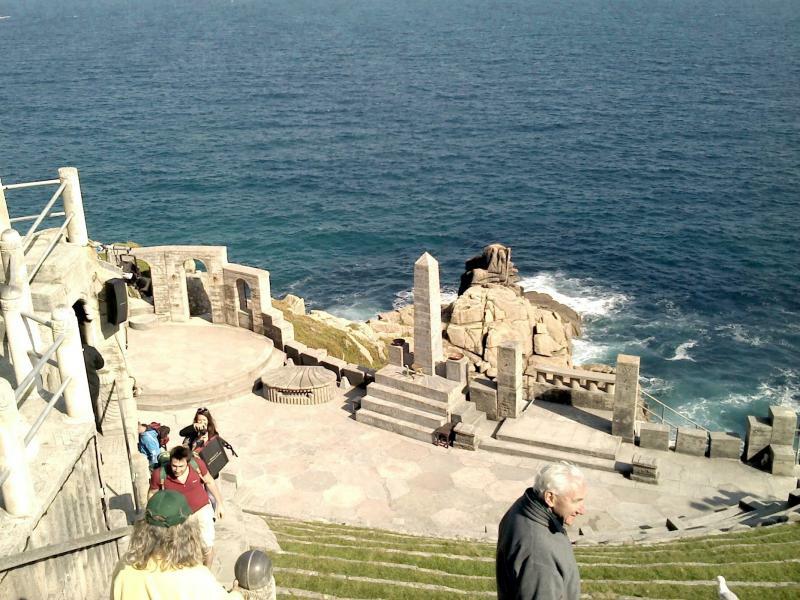 Founded by Rowena Cade in the 1930's, the Minack Theatre does a full summer season of outdoor performances each year, typically including comedy, Shakespeare, Moliere, musicals, childrens' theatre, and Gilbert and Sullivan. Matinees are held two days a week in the afternoons, and performances are often sold out, but very seldom rained out. The great rock outcrop of Treen Castle can be seen on the eastern side of the bay, rising up out of the choppy surf. This photogenic fortress may have been a stone age refuge, judging by the ancient earthworks across the narrow entrance to it. 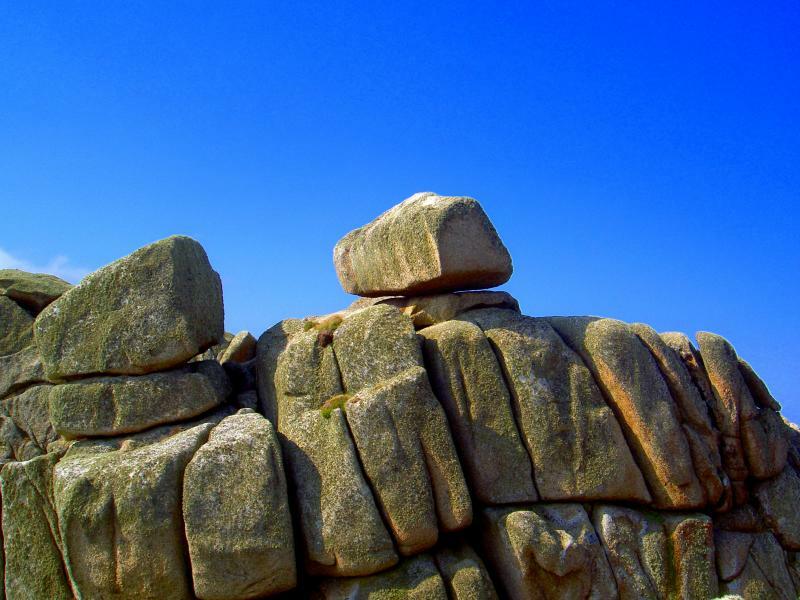 Today as in earlier centuries it is a tourist attraction for its magnificent views and its mysterious Logan Rock. This large rock is perched on the edge of a vertical drop, but wobbles slightly if you climb up and push it. 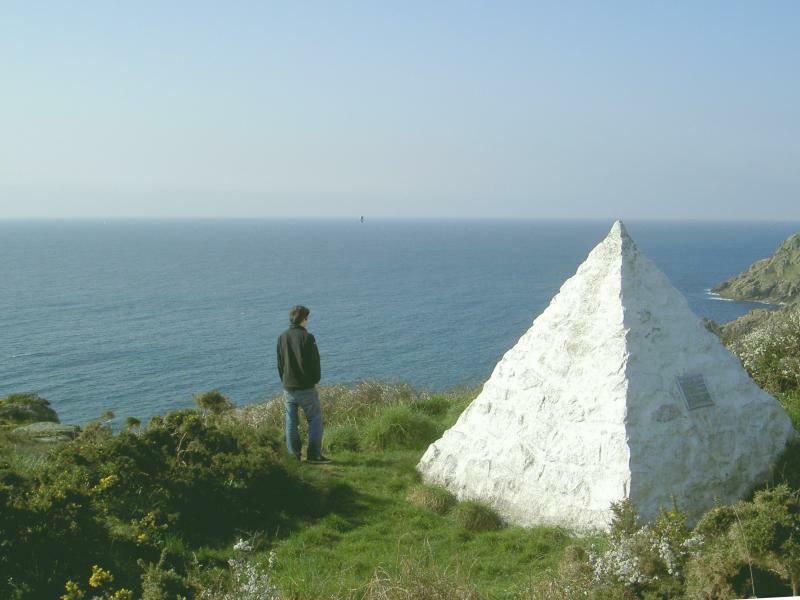 It was apparently much more wobbly in the past until a daredevil pushed it off and then had to spend a large amount of money having the tourist attraction restored, which is depicted in the nearby Logan Rock Inn pub in the village of Treen.